With all the greens flourishing right about now, I’ve been having a craving for bean soup with greens. Why in the world would I crave soup in the dead heat of summer, you ask. I can have soup any time of the year. I absolutely love it. Yes, it can be warm and comforting in winter, but summer also calls for comfort of a different sort. Plus, studies have shown that eating warming dishes such as soup can actually acclimate you better to the heat by elevating your body temperature, thereby making the weather more tolerable. Anyway, someone gave me a tiny little bunch of kale and I thought that it was the perfect opportunity to make that beans-and-greens soup. I decided to add some amaranth to it—I love pasta and grains in my soup and amaranth is an exceptionally healthy choice. Amaranth has been grown in Central and South America and consumed by the regional people for hundreds of years. It’s been an important source of protein for the indigenous people of those regions, and it is less expensive and, consequently, less controversial than quinoa. Amaranth is a very rich source of protein, and it is more digestible than that of other grains. It’s also an excellent source of lysine, an important amino acid. Amaranth has the most calcium of any grain next to teff. It also is a better source than other grains of magnesium, iron, copper, and fiber. Amaranth is a good source of zinc, potassium, phosphorus, folate, niacin, and riboflavin, and vitamins A, C, E, K, B5, and B6, as well as antioxidants, which fight cancer. It has been shown to lower cholesterol and blood pressure, reduce inflammation, boost the immune system, and—don’t hold me to this—helps prevent premature graying. For carb counters, it’s lower in carbs than other grains and it’s gluten free. 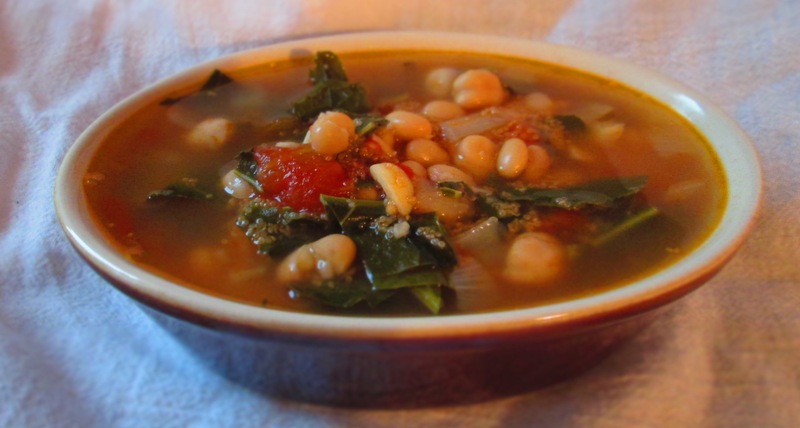 So, here’s my impromptu recipe for Kale-Bean Soup with Amaranth. These are approximate amounts, so use however much you like of anything. Soup is very forgiving where quantities of ingredients are concerned. Enjoy. Wash the kale and remove thick stems. Chop into bite-sized pieces. 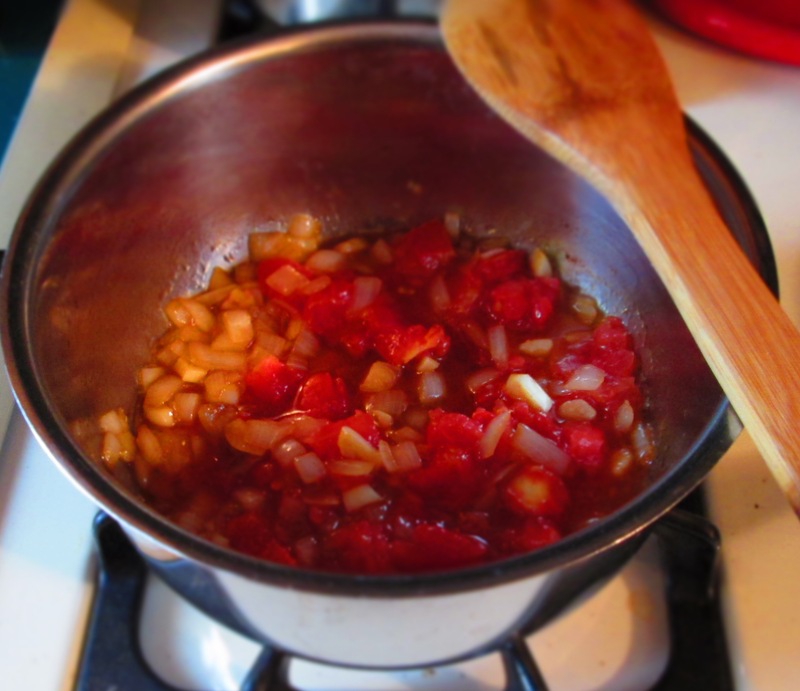 In a medium pot, heat oil; add onion, garlic, and salt. 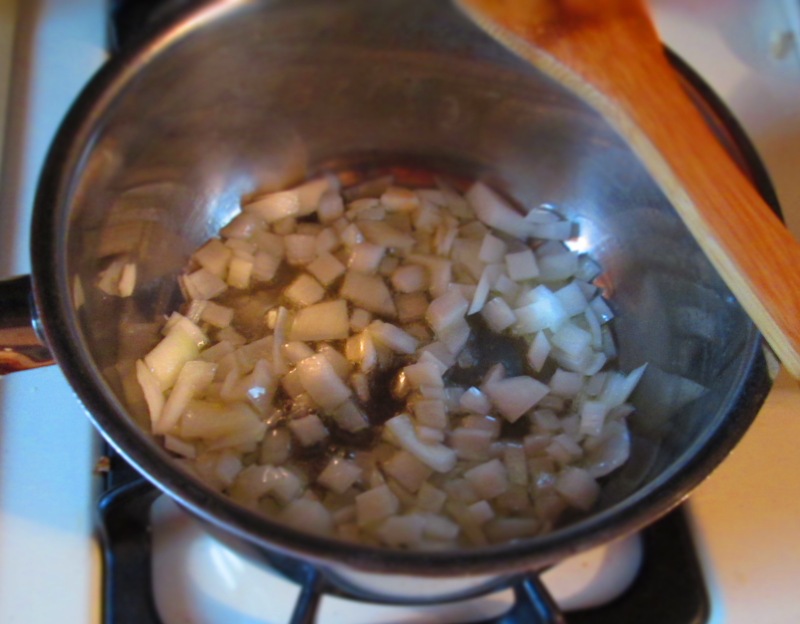 Sauté until onion is translucent, about 2 or 3 minutes. Add tomatoes and sauté another minute. Pour in broth and let it come to a boil. 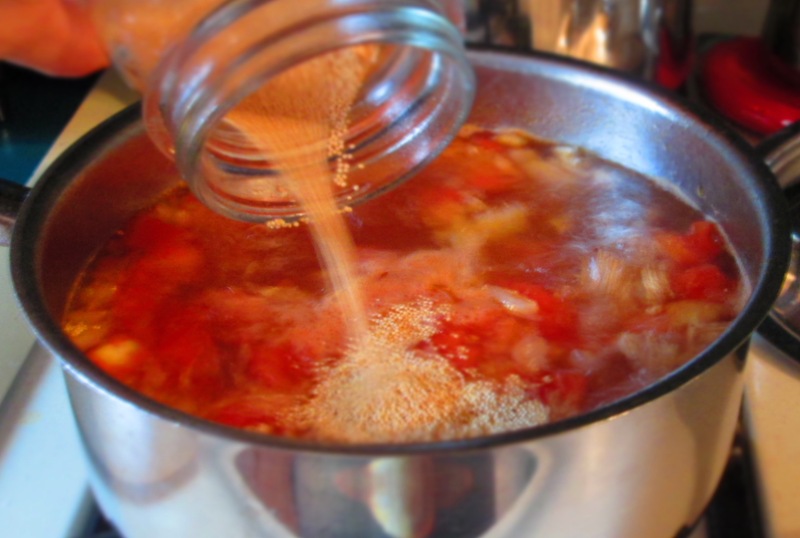 Add amaranth; lower heat to medium-low and simmer until is cooked, about 10 minutes. Add kale and beans and continue cooking until kale is tender (this can take anywhere from 5 to 10 minutes, depending on the size and “toughness” of the kale). Adjust seasoning to taste. Serve as is or with grated cheese and/or crusty bread. Categories: Gluten-free, Healthy Alternatives, Healthy eating, Savory Cooking, seasonal cooking, Soup, Uncategorized, Vegan, Vegetables, Vegetarian | Tags: amaranth, beans, kale, soup | Permalink.